This harness has been upgraded from the original harness. 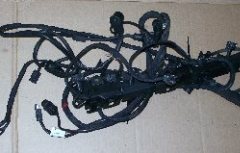 This Harness is upgraded from the original and was manufactured in 2001. E320 SEDAN, WAGON AND CONV.